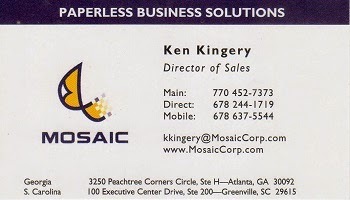 I am a principal at Mosaic Corporation which focuses on helping businesses adopt paperless business practices utilizing document and content management software and various scanning and capture technologies. Mosaic is one of the few consultancies dedicated exclusively to paperless workflow technologies and now has several hundred clients in the southeast. Our clients like that I listen to what they are saying and respond very promptly to their concerns and issues. 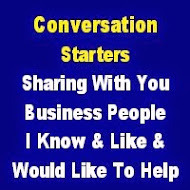 They truly appreciate that I am usually quite knowledgeable about their business or industry and that I am also quite knowledgeable about our technology and how it affects their business. My main area of expertise is knowing how to implement change in an organizational culture. This is the reason that we are successful with all of our technology implementations.